The Australian Embassy in Lima will be offering in person voting from Wednesday, 8 May 2019. The opening hours are from 9:00am to 5:00pm from Wednesday 8 May to Friday 17 May (weekdays only). The Embassy will not be open on 18 May (election day). To gain access to the Embassy you will need to provide identification such as a passport or Peruvian document of identity. This visa allows young Australians who want to spend their holidays in Peru for up to one year and work during the same period. Its main objective is to encourage cultural exchange and closer ties between young people from Australia and Peru. Passport and notarial services are available by appointment only at the Australian Embassy in Lima. Clients without an appointment will only be seen in exceptional circumstances. Appointments are not required for passport collections. Appointments can be made by clicking here. Attend the Australian Embassy Lima at your designated booking time. If you require assistance, please contact the Embassy (see our contact details above) during our office hours. Fees vary month to month. All fees are in US dollars and can be paid by Mastercard, Visa, American Express or Diners. Need help now? Find the 24-hour, 7-day a week emergency consular hotlines on this website’s home page. 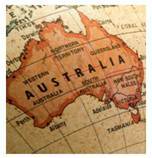 We assist Australians overseas within limits (see Consular Services Charter). Our capacity to assist is influenced by local laws and conditions, international rules governing consular work, and by the cooperation offered by persons and organisations. This does not diminish the obligation of Australian citizens to keep themselves informed on the situation in the country likely to affect their safety or to meet costs incurred in rendering assistance. Registering your presence in Peru or Bolivia and your travel plans is very important. This information will help us to contact or find you in an emergency - whether it is a natural disaster, civil disturbance or family emergency. It may also be used to pass other information to you such as important travel advice updates, notice of elections and information on other matters relevant to travellers and expatriates. Has your Australian passport been lost or stolen in Peru or Bolivia? Report it online or to the Embassy. For more information on applying for a passport see the Australian Passport Office website or contact us. Please note that the Australian Embassy in Lima only accepts fees in US dollars, which are subject to change at the beginning of each month for exchange rate variations. Please contact us for the current Australian Travel Document fees in US dollars. Find handy information for Australians or residents returning from a holiday or moving back to Australia. Smartraveller has a bulletin on the Zika virus – it’s relevant to all travellers, especially pregnant women, who are going to South and Central America, the Caribbean, or to Samoa in the Pacific. This mosquito-borne disease doesn't have a vaccine. It could be particularly harmful to the unborn babies of pregnant women, though further studies are being done on causal links. Best protection for all is to avoid getting bitten. And taking a really cautious approach (and until more is known), pregnant women should consider postponing travel to any of the countries of concern or speak to a doctor first.